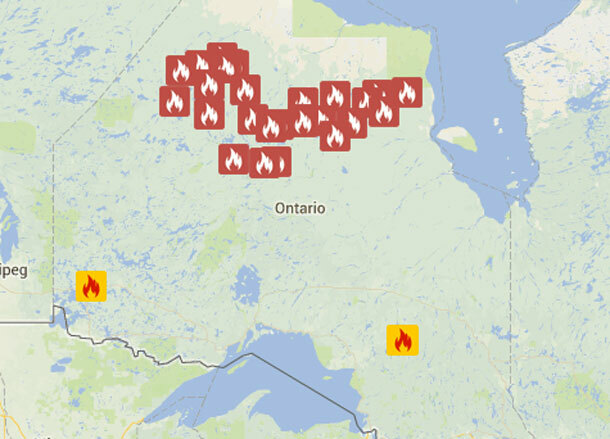 THUNDER BAY – Far north in Ontario is ablaze. The fire hazard is expected to be in the low to moderate level. However , there was one new fire confirmed in the Kenora District of the Northwest Region by the evening of June 26. 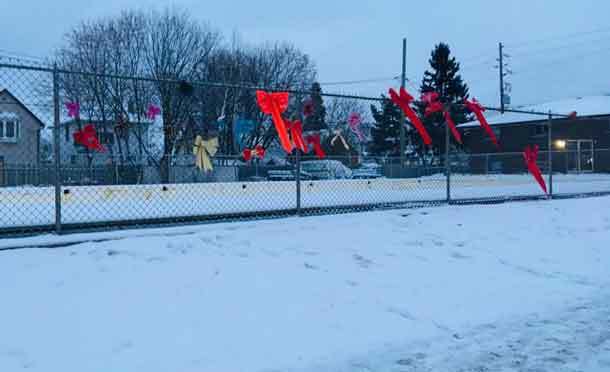 The report of a second fire in the same general area at the south end of Lake of the Woods was also being investigated report the Ministry of Natural Resources. With the Canada Day holiday weekend coming, there is concern that both campfires or fireworks being set off by people celebrating the holiday could make for new fires. The northern districts of Nipigon and Sioux Lookout continue to monitor several lightning-caused fires burning in remote locations along with three fires that received suppression action and are now classed as Being Held. The lightning locator system of the Aviation, Forest Fire and Emergency Services program has recorded lightning strike activity along the southern border of the region including heavy concentrations in the area around Atikokan. Over the next several days these strikes will be monitored for early detection of forest fires caused by the lightning. Rain activity is forecast to continue across the region dropping the fire hazard to the low to moderate range. If you are headed out for the Canada Day holiday weekend to enjoy some of Northwestern Ontario’s wilderness areas, taking care will help. The MNR state, “According to the Forest Fires Prevention Act of Ontario people who set off a flare or fireworks within 300 meters of a forest area have to make sure that there is no burning residue left”. Anyone who sets off fireworks that cause a forest fire will be held responsible. Please make sure any campfires or shore lunch fires are put dead out before leaving the site.